What could be more fun than summer vacation? With its plentiful outings filled with sun, surf, sand, free time and bonding with friends and loved ones, the summer season is an incredibly enjoyable time for almost everyone…except your hair. While you may enjoy the heat and sunshine, it presents a major hazard to your hair that’s difficult to rectify once the season ends. 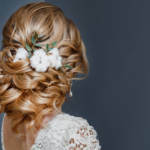 Too much heat exposure causes damaged and dry hair, which leads to breakage and other problems that could potentially destroy all the hard work you’ve invested into your hair. Luckily, there are ways to protect your tresses throughout the season. A low-quality brush can be worse than no brush at all. The ideal brush sports boar bristles, which help to manage moisture in your hair by spreading it evenly and easily. If you’re working with your hair while it’s wet, it’s better to stick to a comb with wide teeth because this is less likely to yank out your hair than a brush will. Wet hair is prone to breakage, and brushes are often too rough on the strands while they’re in this state. Sun protection for hair is critical in the summer. When you’re facing extreme temperatures, a great conditioner can work wonders for your hair. It can help to keep moisture from seeping too deeply into your hair, along with the help of a cap. There are a number of products you can turn to for sun protection for hair, including sprays. Hats are another great option for those on a budget and easy to coordinate with your summer wardrobe! Sunlight and its UV rays can easily sap the moisture from your hair, which means it will need all the help it can get! A hydrating shampoo will be equally useful for protecting your hair. Don’t Overdo It With Your Styling Tools! We know what a lifesaver your curling and/or flat irons can be, especially on those days your hair refuses to cooperate. However, artificial heat is damaging to hair and, when combined with natural heat from the summer sun, can pack quite a detrimental wallop! Consider styling your hair differently from time to time by wearing it up in a bun or some other low-maintenance style. It will be easy on your hair and cute enough to wear on a day out! Alternatively, if you must use heat, adjust the temperature lower. Ionic tools can be helpful as well because they work with the water in your hair to style it and trap moisture within it, which can safeguard your hair against the heat. No matter what you decide to do with your hair, be sure to apply a heat protectant to it as a safeguard! At RemySoft, we’re 100 percent dedicated to helping you manage your hair, no matter the time of year. 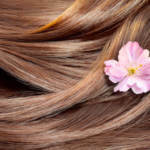 Contact us to learn more great tips for dealing with dry hair and other common problems! Consider Trying Out These Great Summertime Hairstyles!